Cupertino based gadget giant, Apple, has just announced on dates for the upcoming Worldwide Developers Conference (WWDC 2011). To take place at Moscone West in San Francisco, the conference would go live on June 6 and would continue till June 10. The five day conference would unveil much from the future of iOS and Mac OS. Moreover, the conference would include new kinds of apps which would help developers using Apple’s advanced frameworks. The event would pack much excitement specially for mobile developers, with access to explore latest innovations and capabilities of iOS. At this year’s conference we are going to unveil the future of iOS and Mac OS. If you are an iOS or Mac OS X software developer, this is the event that you do not want to miss. On the other hand, Mac developers would be able to learn on how to develop world-class Mac OS X Lion applications using its latest technologies and capabilities. 4. Apple Design Awards which recognize iPad, iPhone and Mac apps that demonstrate technical excellence, innovation and outstanding design. In a press release published on 31st May Apple has hinted about iCloud service announcement along iwth iOS 5 & Mac OS X Lion preview. User can read complete press release here. We are sure Apple fanboys and enthusiast don’t want to miss WWDC 20011 announcements, unfortunately Apple doesn’t stream WWDC 2011 event live online and only way to follow it live is by following blogs covering it live. 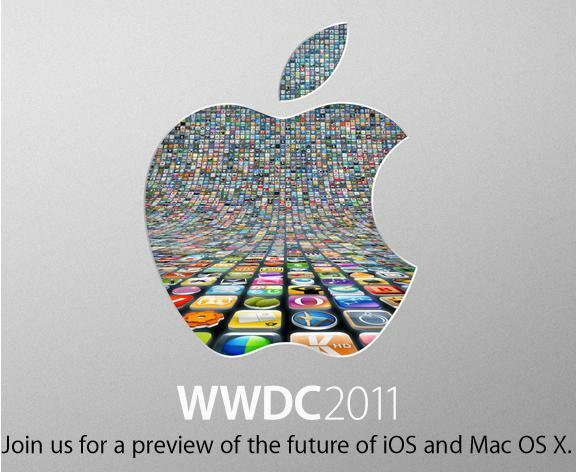 We have collected links of those blogs who will be live blogging from Apple WWDC 2011. Twitter can be good place to catch up with WWDC 2011 news, follow #wwdc #wwdc2011 hashtags.